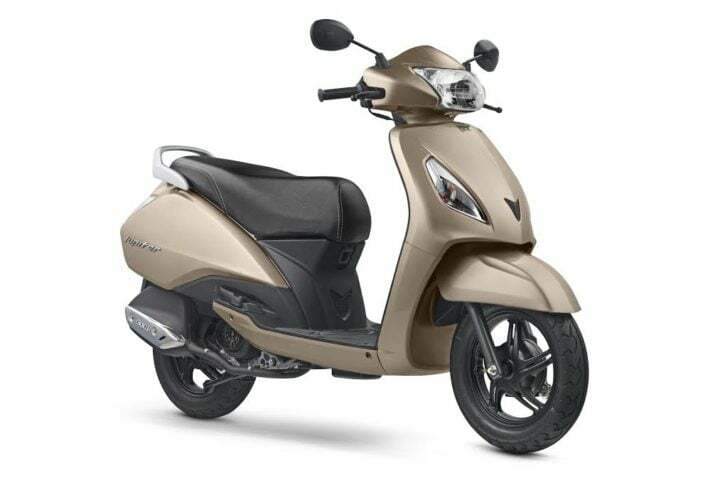 While TVS has denied any such development, speculations have been rife that TVS could be planning to launch a 125cc version of its Jupiter automatic scooter. Expected to go on sale for a price of Rs 52,000, the TVS Jupiter 125cc model will become the only scooter in its segment to boast fuel injection. Claimed mileage could be roughly 55 KMPL and the new scooter will offer disc brake and Sync Brake System (SBS). TVS has denied any plans of launching the 125cc model of the Jupiter. However, various rumours still abound that the new Jupiter 125cc model to launch during this year’s festive season. Easily expect the upcoming 125cc automatic scooter to command a premium of around Rs 5,000 over the 110cc model. This means the TVS Jupiter 125cc could have a base price of Rs 52,000. The fully-loaded model, which will have a front disc brake, could cost around Rs 55,000. The Jupiter 125 could have a claimed mileage of upto 55 KMPL. The upcoming 125cc Jupiter model will get a fuel injected engine that is likely to pump out a max. power of 9.5 BHP and a peak torque of 9 Nm. The engine will come mated to a CVT. The scooter will come with telescopic front forks and optional front disc brake. The new 125cc Jupiter will have alloy wheels. 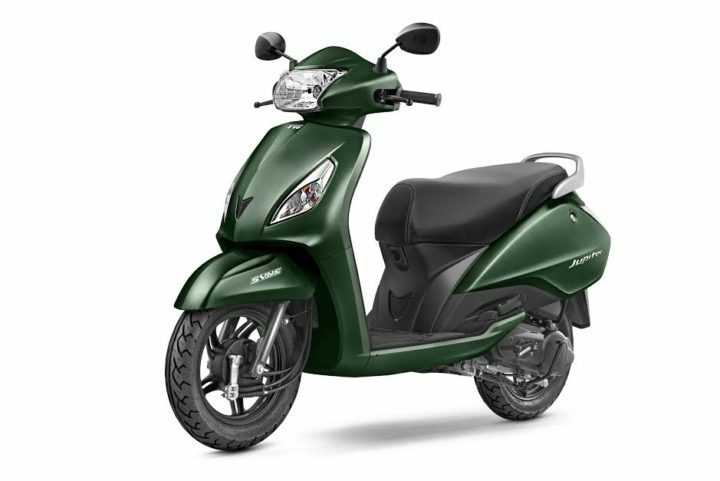 The TVS Jupiter 125 should get all the colour options that are available on the 110cc variant.